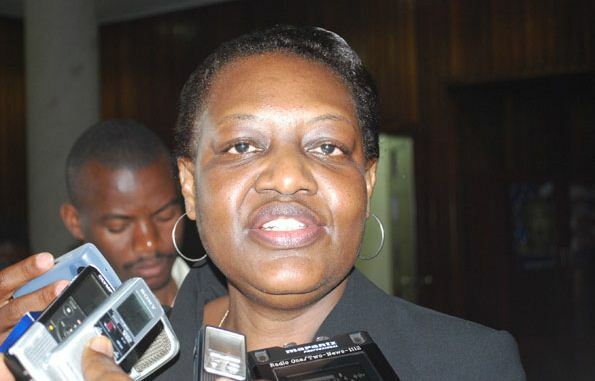 KAMPALA – Justice Irene Mulyagonja, the Inspector General of Government (IGG) has expressed frustration with the number of public servants who have refused to declare their assets, saying this has hampered the public from making an input to provide information regarding the details submitted by the public servants. Addressing journalists during the launch of the declaration period that ends on 31st March 2019 for this year at the Ministry of ICT, Mulyagonja said that the there have been a number of complaints raised from the public over failure by Inspectorate to involve taxpayers in these declarations. The IGG also called on Government to expedite the registration of all marriages and children, saying the move if implemented will ease the tracking of the officials who hide their property in the names of their spouses and children. The Inspectorate also revealed that in 2018, the declaration stood at 90% and used the platform to warn leaders who haven’t declared their form as required in the laws that the Directorate will not have an extension of the declaration period set this year. She, however, decried the absence of the Tribunal that is meant to hear cases of public servants that fail to abide by the requirement, that would see errant officials sent to the tribunal for prosecution.